A vegetarian/vegan lunch will be served. Please email us if you have special needs at info@massanimalcoalition.org . We will be having a raffle for interesting items, so bring some cash to get in on the fun! We are excited to welcome Anna Murin, Program Manager, from Metro Denver C.A.T. (Cats Around Town) as our presenter at the Whole Cat Workshop! This year’s workshop will take place on Sunday, March 25th at Tufts University in North Grafton. Denver CAT works closely with their community at a grass-roots level and in collaboration with their fellow animal welfare groups to raise the status of owned cats, shelter cats, community cats and feral cats. By building a close and trusting relationship with their community, they’re breaking down boundaries to care and resources in an underserved community in Colorado. Anna will share with us how Denver C.A.T. was born, how it has grown and the impact that it has had on it’s community (both human and feline) since it’s inception. Join us for an interesting and inspiring day that is sure to have applications and lessons learned for cats in our own local communities. and a lifelong cat lover. 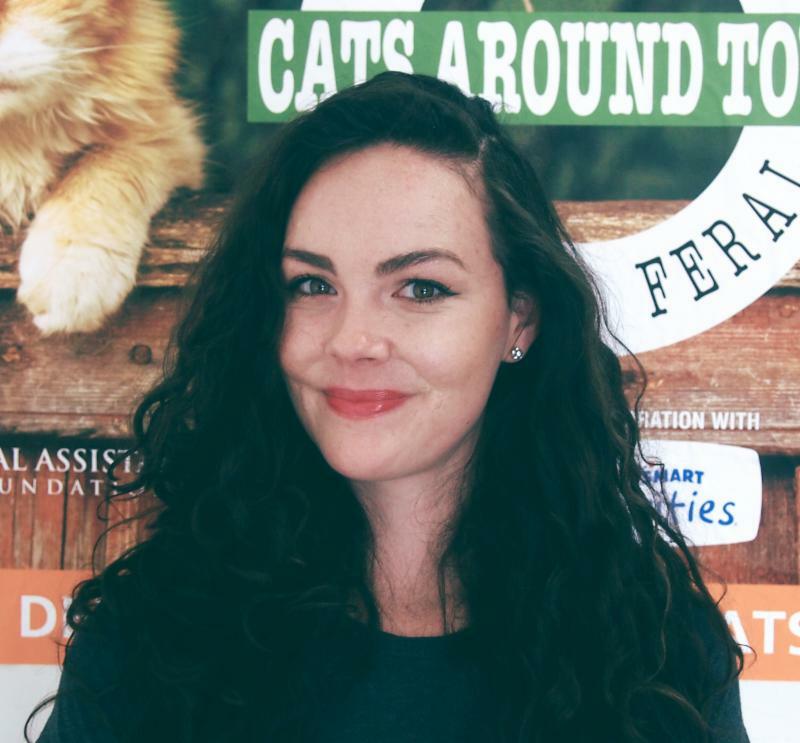 She has worked in animal welfare in a variety of roles, both in and out of the shelter, and is passionate about helping communities improve the lives of their animals. Anna feels lucky to live in Denver where there are so many people dedicated to helping community cats!